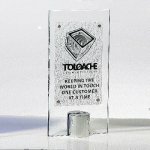 Jade Acrylic is shaped and drilled for a shiny finish peg easel. 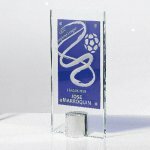 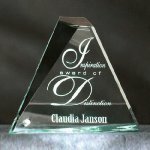 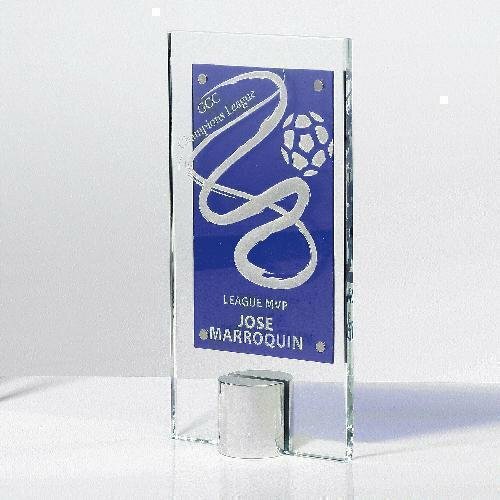 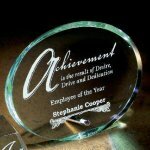 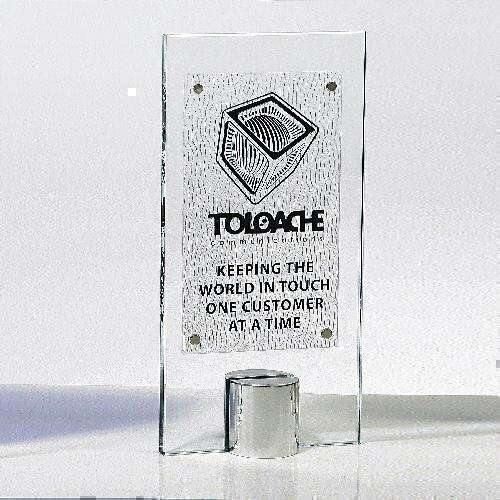 The thick acrylic makes a dramatic award and is cut and polished with crisp edges for a contemporary look. 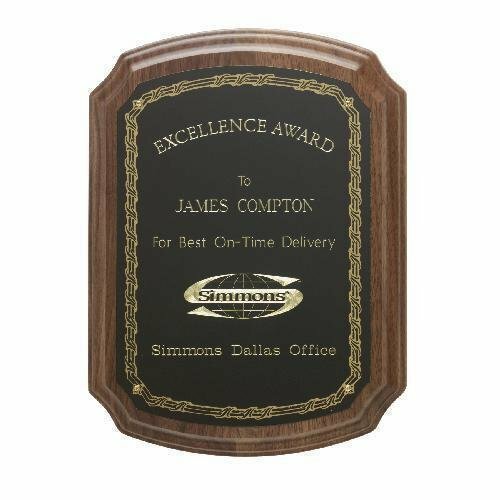 Simulated walnut plaque with black brass plate and rosette pins, designed for the economy minded. 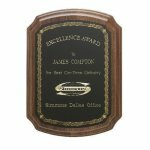 Rosewood Piano finish perpetual plaque features black brass plates and 24 karat gold plated star. 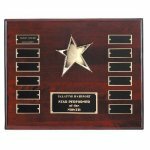 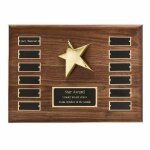 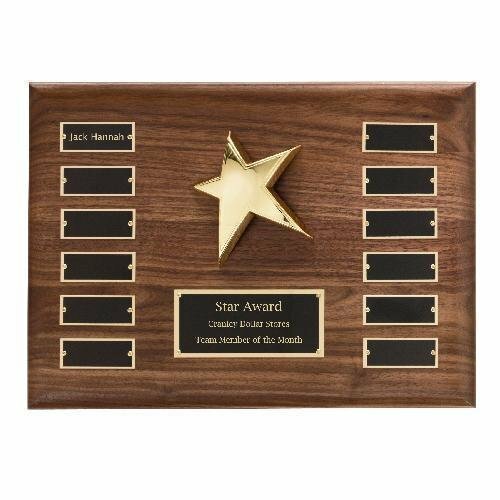 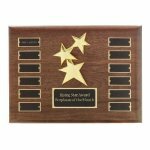 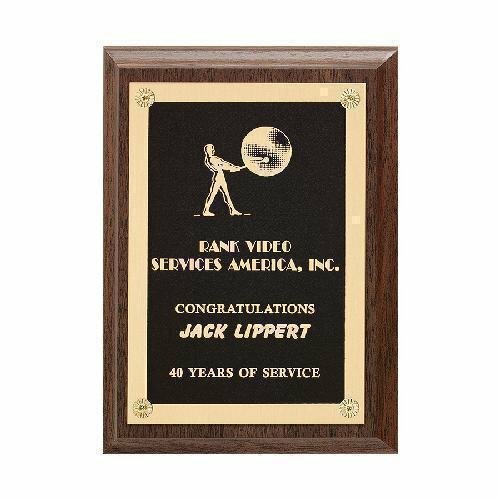 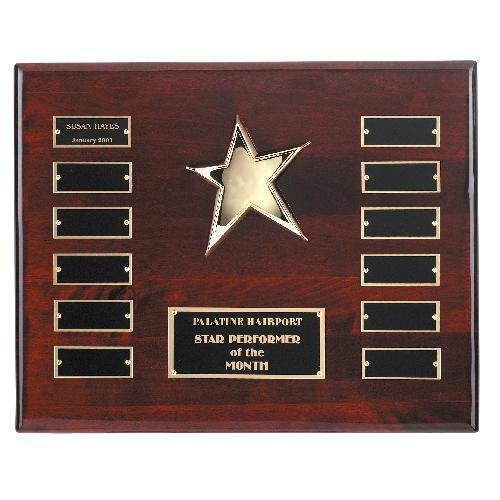 Size: 12" x 15"
Walnut finish perpetual plaque features black brass plates and 24 karat gold plated star. 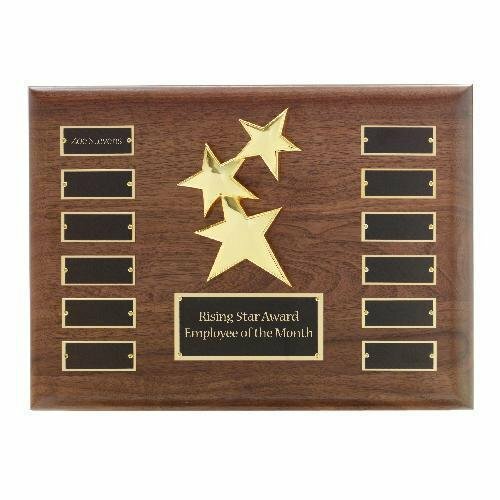 Walnut finish perpetual plaque features black brass plates and 24 karat gold plated star constellation. 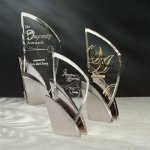 Drama on the wall!